For first-timers, buying a house means diving into a world of unknown financial territory. If you’re approaching buying a house with great trepidation, you’re justified — almost 70% of millennials regret their home purchase. So how do you join the ranks of the other 30%? The answer: know yourself. There is no set timeline or agenda when it comes to buying a home. Everyone has different needs, wants, lifestyles, career paths, credit histories, and family situations. All these things combined will help you make an educated decision on if and when you should buy a home. Jump straight to the flowchart. Start by breaking your situation down into some simple questions. Take into account all the preparations needed for buying your first home. Exhausting all possible reasons for excuses and hesitations will give you a clearer understanding of your situation and your needs. While certainly not a permanent decision, buying a home is typically seen as a long-term investment, with the average homeowner staying in their home for 13.3 years. If your career or lifestyle choices require you to constantly be on the move, renting may be the way to go until you reach a point in life when you’re ready to settle down. What Type of Housing Do You Want? Just because 82% of home buyers opt for a detached, single-family home doesn’t mean you have to. Take your various lifestyle factors into consideration. Do you have a spouse or partner? What about children? Are you content with less space, or is bigger better? How important is privacy? You may find that a townhouse or duplex could be a more viable option. Everyone’s down payment will be different based on income, desired neighborhood, standard of living, and a variety of other factors. With a median U.S. home price of $182,500 and a median downpayment of 6%, roughly $11,000 is a conservative estimate for a downpayment on a small home. 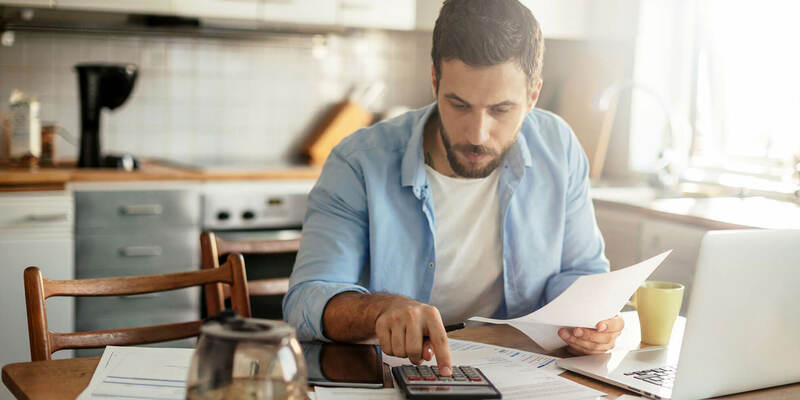 However, many people opt for a bigger downpayment percentage to shorten the term of their mortgage, get a better interest rate, or even avoid private mortgage insurance, which can add on thousands of dollars over the years. Before the house hunting begins, make sure you have enough saved. Is Your Credit Score in Shape? Even if you’ve saved enough for a down payment, it’s important to note that the interest rate you secure on your mortgage will be significantly higher if your credit score is bad. For example, if your credit score is below 625, it may be difficult to get approved for a mortgage at all. However, people with a score of 725 or higher typically enjoy low interest rates of about 3.62% (according to a 2016 Washington Post article. Interest rates have risen since then). Keep in mind that credit score can only affect your mortgage to a certain threshold — typically starting above 700 — after which it’s wise to also rely on other things such as income and loan type to keep pushing your rate lower. A major factor in proving to a lender that you’re ready to buy a home is showing stability. It’s usually a red flag if you’ve switched jobs in the last two years, especially since lenders calculate your average income over the last 24 months. Any gap in pay shows instability. If you’re new to the workforce and want to buy a home, consider staying at your job for two years before applying. If you’re considering leaving your job, you may want to wait until you’ve closed on your home before making the switch. Have You Budgeted for the Monthly Expenses? Once the down payment, inspection, and other fees have been taken care of, it’s time to move in — and unfortunately, the expenses don’t stop here. In addition to the obvious monthly mortgage payment, there are a myriad of other home-related expenses every month to budget for including possible homeowners association fees, mortgage insurance, homeowners insurance, yard maintenance, property taxes, pest control, and many others. Are You Prepared to Tackle Repairs? If tackling repairs seems like a daunting expense, it is — homeowners spend one to four times their home’s value annually on repairs, and this number only increases as the house ages. If you’re the handy type, undertaking repairs yourself is a great way to avoid labor charges and keep costs low. If you honestly answered yes to all or most of these questions, it may be time to start house hunting. 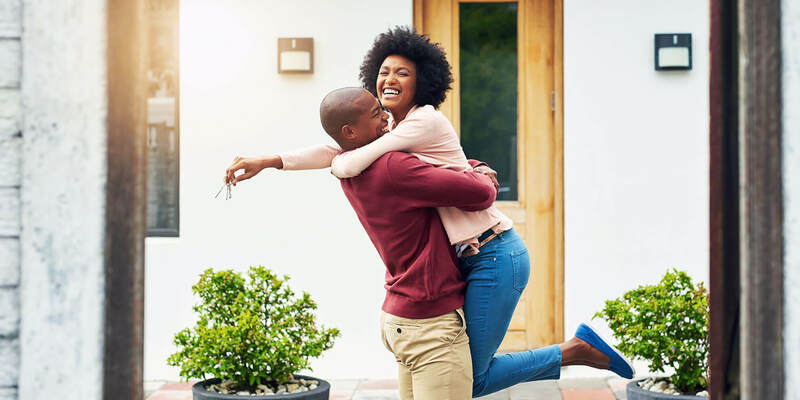 Getting your finances in order before purchasing a home is the best way to ensure that you’re ready for the investment, because home should be a place filled with peace and loved ones — not regret.